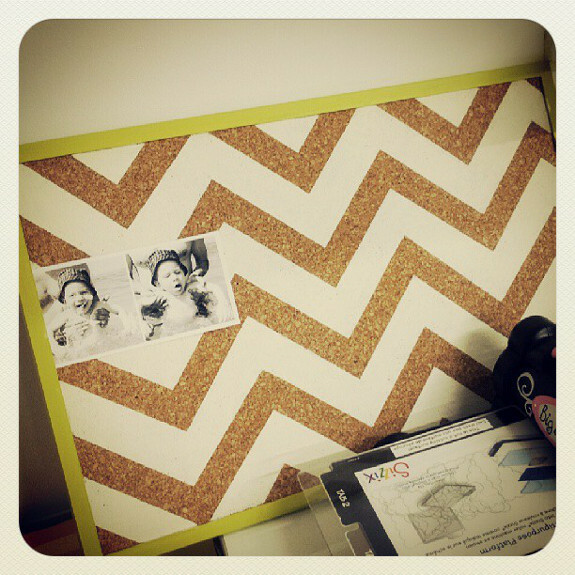 I have millions of cork boards lying around that are just plain ol’ ugly. 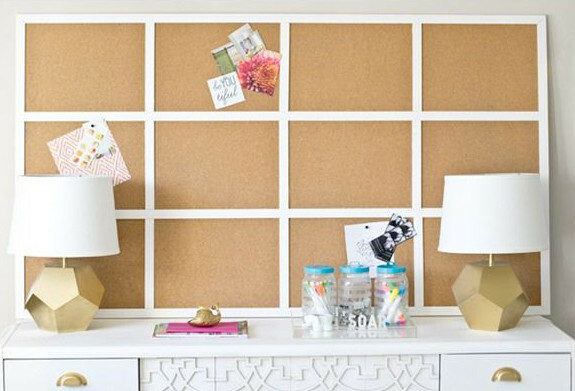 I had an urge to decorate cork boards and since I have millions (three) to turn into something pretty I thought I’d gather some inspirational cork board ideas! 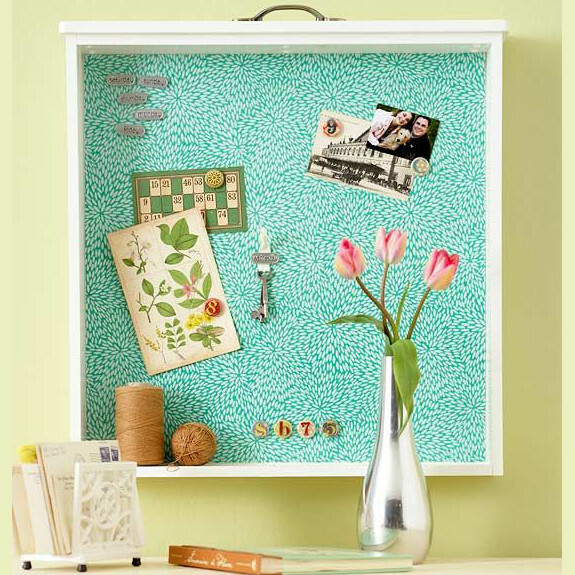 I love that this one is a drawer turned into a pretty cork board! 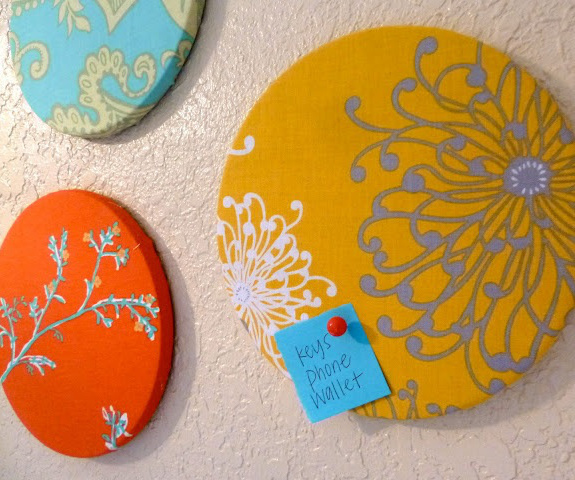 These are my creations made from dollar store hot pads and craft paint. I love the size and shape of circles. Update* I wasn’t quite satisfied with just the four so I added a couple of pink ones to the mix and am much happier with them. � � This one is a beauty but might be a bit much for me. I’d have to go to the hardware store and the likely hood of that doesn’t really exist. If I am in Home Depot for some reason I will be thinking of this diy project for sure. These 3 are just adorable. I don’t actually know which is my fave. 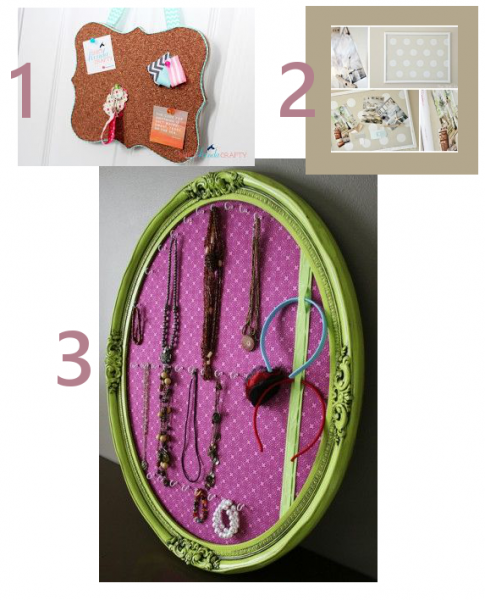 Love the shape of number 1 but I like the face that number 3 is a framed cork board, super cute. However, the size, colors and polka dots on number 2 are really hitting my fancy bone. 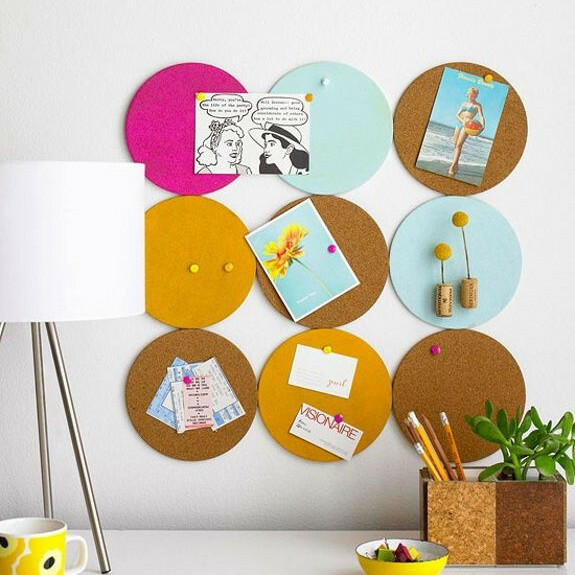 These are fabric covered circle cork boards, I’ve already got plans to sift through my pile of fabric scraps to make some of these. 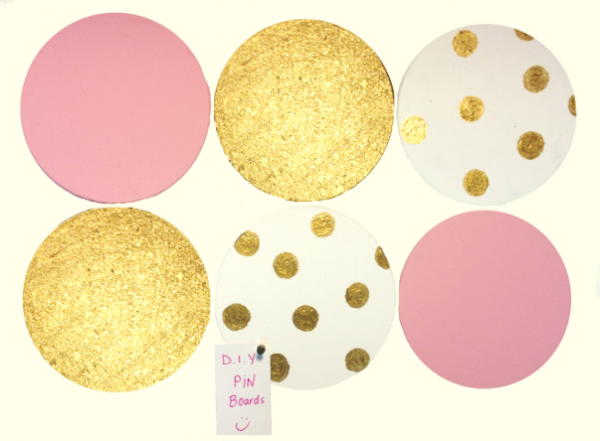 These are pretty cool with the different mediums used. Something to think about. 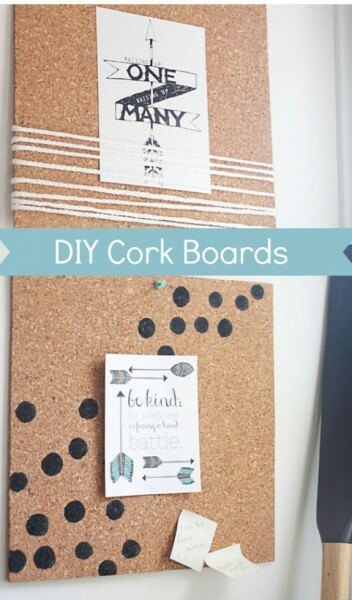 I absolutely love these little cork boards! Totally in love with the colors and how they are laid out together like that. This one has a cute chevron print painted on. Oh the ideas of different patterns to use!